The club competes in the Westward League, South West Championships, South of England Championships, National Championships and the club's top runners represent Cornwall at the Inter Counties Championships. 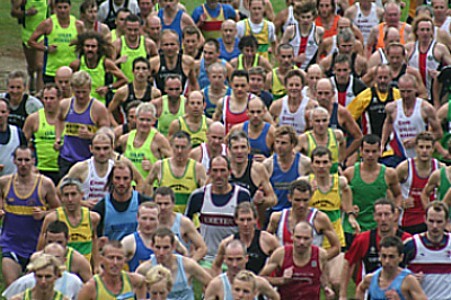 Cornwall Athletic Club organises the final Westward League event of the season at Redruth School and arranges mini buses to take their runners to the four Devon based fixtures. We are consistently one of the top South West clubs, both in Junior and Senior ranks, for males and females and are always keen to build our teams and recruit even more runners to our XC teams, to experience the fun and challenges of Cross Country! To take part, contact Caroline Brock (CAC XC Secretary) or speak to Emma Stepto, Alan Rowling or Dave Buzza at any training session. 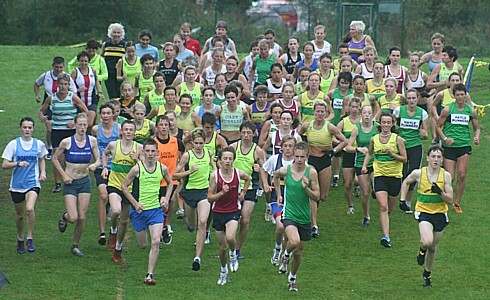 The main training night for both cross country and road running is on Tuesdays at the Carn Brea Leisure Centre, where a structured training programme is provided. (To download your copy click here) Well qualified coaches are available for youngsters from 9 - 18 years old, in addition to the large multi club session for Seniors. Everyone is welcome and well catered for, from beginners to international standard athletes. Other training runs and sessions are arranged in smaller groups during the week. Sorry there are no upcoming cross country fixtures at present.